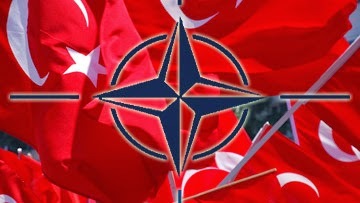 Turkey is a NATO member, the second largest militarily. It hosts 50 nuclear weapons at a base about hundred kilometres from the Syrian border – ISIS territory. Each of them with a capacity of up to six times a Hiroshima bomb. Great to have them there now, right? It’s been secular, quite West-oriented, Muslim, European and modern. Different. Diverse. And has wanted to join the EU. But it was told by Brexit Cameron that it may take more than 3000 years and by French warrior President Sarkozy that it just doesn’t belong. However, the EU could use it and paid it to get rid of its war-created refugee problem. It pledged its decency and humanity with Turkey. It’s a very close ally of the U.S. too, but with warming relations to Russia. Then it falls apart in some kind of strange coup and in 5 days about 60,000 people are purged or arrested, 2300 institutions closed down. One-man rule by decree. More troubles and violence can be expected down the road. Who will be put in all these people’s place? But no particular outcry, some ‘worries’ expressed but mostly endorsement of the dictatorial leader. Imagine the headlines and the words Western politicans and human-rights cheerleaders would speak if it had been Russia or Iran. No mention of suspension from NATO, or of sanctions. Don’t worry too much: NATO protects freedom, human rights, democracy and peace as it always has. Oh really? So of course, it’s stability and militarism before human rights, democracy and freedom. Particularly when a lot is at stake and the strongman is our strongman. Or perhaps not so much longer?